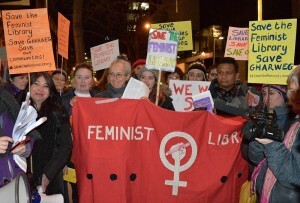 On the evening of the 24th February over 100 protesters gathered outside Southwark Council’s offices to oppose the planned closure of the Feminist Library. 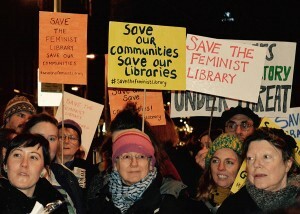 Our petition was presented to Councillors, whilst outside messages of support were heard from women whose lives had been changed by the Feminist Library, such as a local resident involved in mental health campaigning, women from Iran and Bangladesh, and from prominent authors and activists such as Margaret Atwood, Sarah Waters and Gloria Steinem. 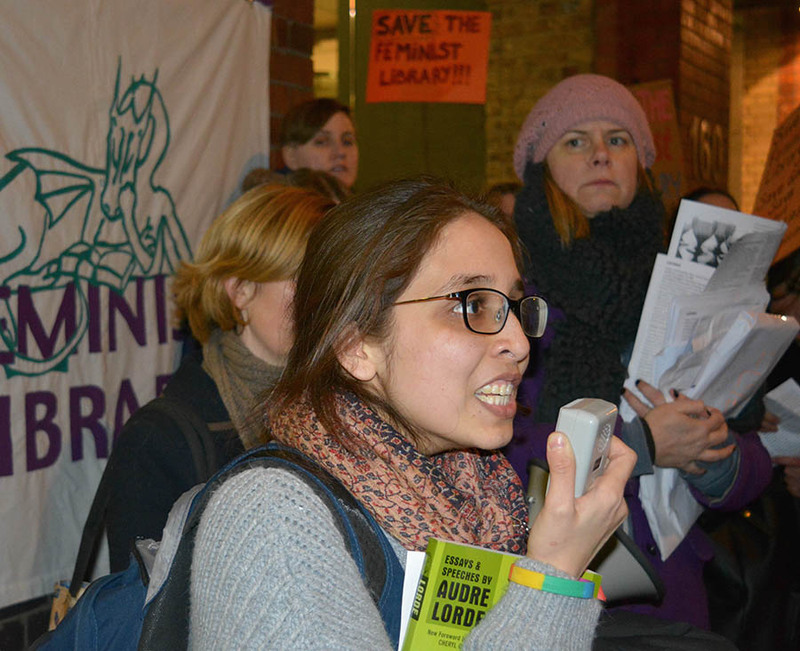 Banners and placards were held aloft and, to dramatically coincide with World Out Loud Reading Day, over 50 of us read from feminist books housed in the Library. A stirring, collective performance, our voices reached a crescendo before falling silent. Over and over a chorus of herstories filled the air as we raised our voices in solidarity. It was an incredibly powerful night. Over the past few weeks we have received many testimonials and statements of support for the Feminist Library. “As a Southwark resident I’ve been devastated to hear that we might be soon losing this unique cultural organisation. 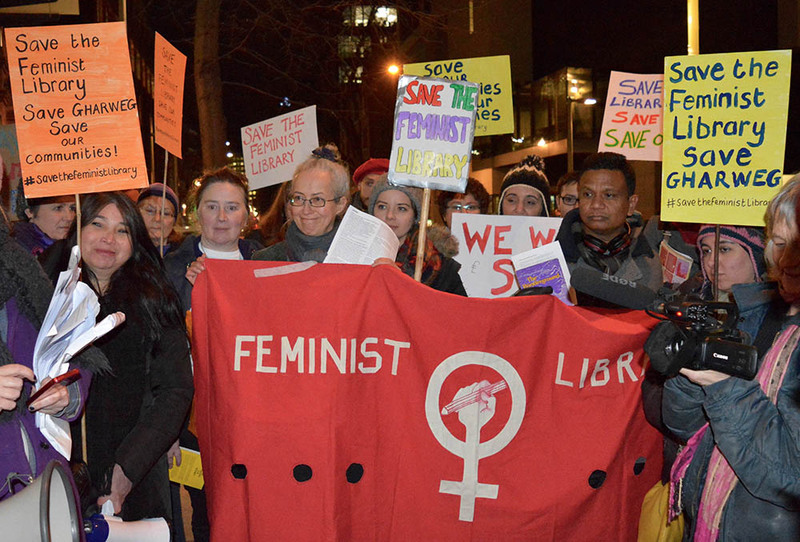 The Feminist Library is just what we need to hold on to in the Elephant and Castle area right now; a place that brings together women from all backgrounds and of all ages. It’s not only a valuable historical archive – it’s a very much alive and passionate community that Southwark should support and be proud of.” Minna Haukka, local resident.